Poker table felt isn’t really designed to be spilled on. Poker table cup holders with slides (that slide under the padded armrest) are an ideal and attractive solution. 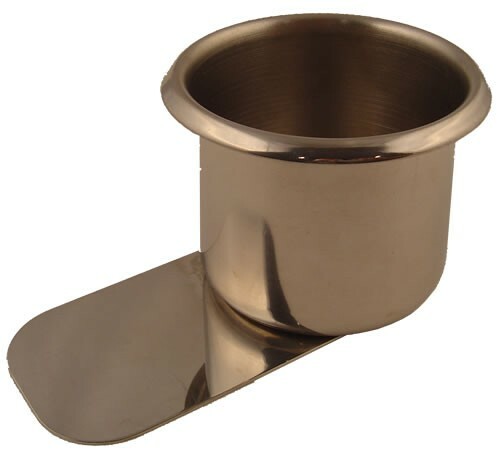 Our stainless steel poker table cup holder 3-pack is enough to service most small games, and multiple 3-packs will accommodate larger games and tournaments. Quality of materials - High-grade stainless steel. Dimensions - 2 1/2 inch interior diameter (Perfect for beer cans, pint glasses, and pretty much any drink besides a Big Gulp). The under table slide expends out a little over 2 inches. Weight - A little over 1/4th a pound each. 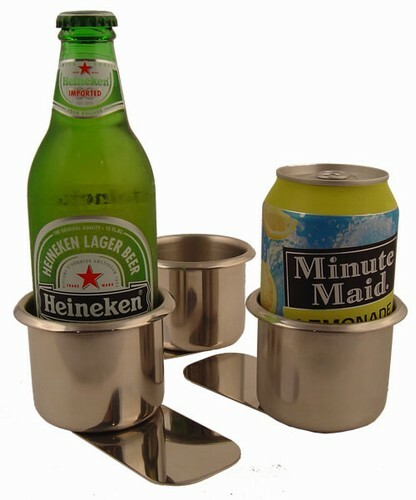 Authentic Las Vegas drink holders - These are the exact same drink holders that are used in the most prestigous poker rooms in Las Vegas and the world. 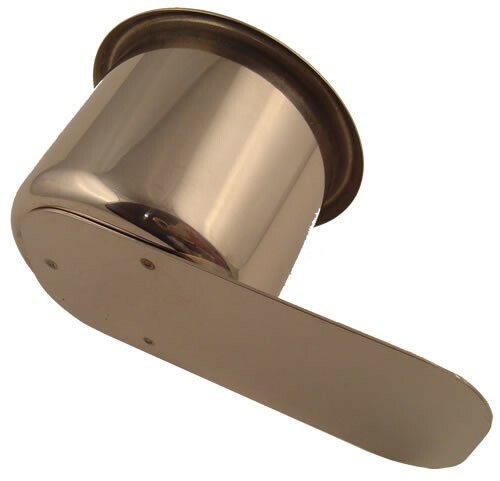 Beautiful stainless steel - Many cup holders on the market use cheap brown plastic. For a few dollar more, you can compliment the beauty of your table instead of detract from it. 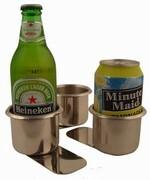 Helps avoid spills - Which makes the host more comfortable, and the players more at ease. Let the drinks flow! Highly stable slide under design - The foot of the drink holder slides right under the padded rail of your table and holds everything in place and upright. Last a lifetime - These will be the last drink holders you ever need to buy.